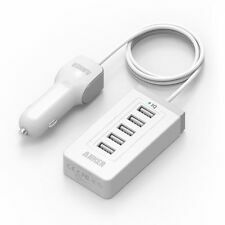 Anker PowerDrive 2. Certified Safe: Anker's MultiProtect safety system ensures complete protection for you and your devices. At Anker, we believe in our products. That's why we back them all with an 18-month warranty and provide friendly, easy-to-reach support. Model : A1275Z11. Manufacturer Part Number : A1275Z11. PowerCore Speed 20000 PD. Model number A1211. 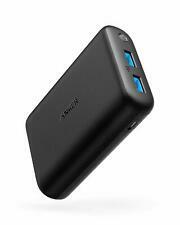 Exclusive to Anker. At Anker, we believe in our products. That's why we back them all with an 18-month warranty and provide friendly, easy-to-reach support. This thing is remarkably small. Twin charging coils let you watch videos in landscape orientation, or stand in portrait mode for web browsing and facial recognition—all while keeping the power flowing. - iPhone XS Max / iPhone XR / iPhone XS / iPhone X / iPhone 8 / iPhone 8 Plus. PowerCore 26800. Get freedom from your wall for over a week. Anker's MultiProtect technology combines surge protection, short circuit prevention and premium LG battery cells to keep you and your devices safe. 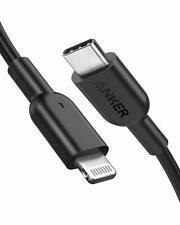 Exclusive to Anker. To ensure complete safety, we use only premium Sanyo battery cells, together with advanced materials and cutting-edge technology. Ultra-High Capacity. Color: Black. Remarkably Compact. PowerCore 5000. PowerCore 5000 utilizes two different high-speed charging technologies. So small that it'll sit almost unnoticed in any pocket or bag. Surge protection, short circuit prevention, and more advanced safety features keep you and your devices safe. Anker 2nd Gen Astro E1 A1211 Powerbank. Condition is Used. Shipped with USPS First Class Package. 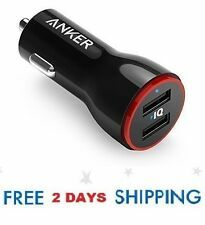 Anker, A2229Z12. We proudly stand behind the quality of our products. 65 Point Inspection. Nature of our Products 25 Years experience. 100% Functional. As an industry leader in product sourcing and reconditioning, we are expert in providing the best and finest quality products. Condition is New. Charging wire is not inlcuded. Certified Safe: Anker's MultiProtect safety system ensures complete protection for you and your devices. Premium Design: Robust and durable aluminum-alloy encases PowerCore 's high-grade components and circuitry. All appear to have never been used, although I can not say for certain so these are being listed as used/refurbished. Dual ports pump out 39W of power. Ultra-compact design gives PowerDrive Speed 2 a low profile while in use. Soft LED makes it easy to find your ports at night. PowerDrive Speed 2. Advanced Safety. Not compatible with full-speed charging for Note 9, S9, and S9 . PowerDrive Speed 2 with PowerIQ 2.0. Double Up: Dual ports pump out 30W total—enough for both driver and passenger to access high-speed charging. Twin USB charging ports enable simultaneous charging of multiple devices—without sacrificing charging speed. 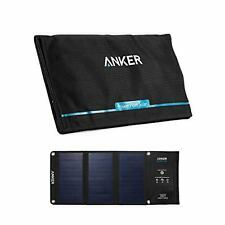 Up for sale is an Ankor 14w Solar Charger. This item is used but is in great working shape. This whole item is high quality and can be used at the beach, camping, hiking, anywhere. I do not have any cables to use with this, you must provide your own. Shipped with USPS First Class Package. 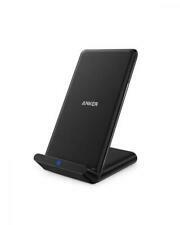 Power Bank - Anker - 2nd Gen Astro E7 26,800 mAh. - 26,800 mAh. - Power Bank. - Single Press - shows battery capacity. - 3A Single Port Max. - 4A Max Total. - 3 USB PowerIQ. Condition is Manufacturer refurbished. PowerPort Wireless 5 Pad. Just set your phone down on the pad (leaving your case on), then get up and go as quickly as possible with Anker's world-renowned technology. We Have Continually Grown By Providing Quality Deals At Low Prices. 100% Original. Item Condition You can expect a fully functional product. 100% Genuine. PowerPort Solar 2 Ports. When you're out enjoying the great outdoors, enjoy another perk: free limitless power. Industrial-strength PET plastic faced solar panels sewn into high-wear polyester canvas ensure it's able to withstand the trials of your outdoor adventures. PowerPort 2 Elite. . At Anker, we believe in our products. That's why we back them all with an 18-month warranty and provide friendly, easy-to-reach support. Dual USB ports pump out 24 watts. Now upgraded with premium quality battery cells to ensure superior performance and safety. Convenient LED Indicator Light lets you know how much juice is left. MultiProtect Safety System Surge protection, short circuit protection and premium LG battery cells keep you and your devices safe. Trending at $21.29eBay determines this price through a machine learned model of the product's sale prices within the last 90 days. Just set your phone down on the pad (leaving your case on), then get up and go as quickly as possible with Anker's world-renowned technology. br>Outstanding At Anker, we believe in our products. That's why we back them all with an 18-month and provide friendly, easy-to-reach support. PowerPort Cube. After adhering PowerPort Cube to the surface, wait 24 hours before connecting devices. One for All: 3 AC outlets and 3 USB ports power everything on your desk from a single compact hub (18W max output from the USB ports and 1250W from the AC outlets). 18W: 5V ⎓ 3A, 9V ⎓ 2A, 12V ⎓ 1.5A (PowerIQ 2.0). 12W: 5V ⎓ 2.4A (PowerIQ). PowerCore II 20000. Upgraded LED Indicator. (AC adapter not included. Micro USB cable included for recharging.). • AC adapter not included.